You will be able to check out until 14:00 hours, instead of the usual 12:00 hours. You can cancel or change your reservation free of charge up to 24 hours before your arrival. You will only be paying €14.50 instead of €19.50 per person per day. A nice surprise with a stay of three nights or more, see our special offers. 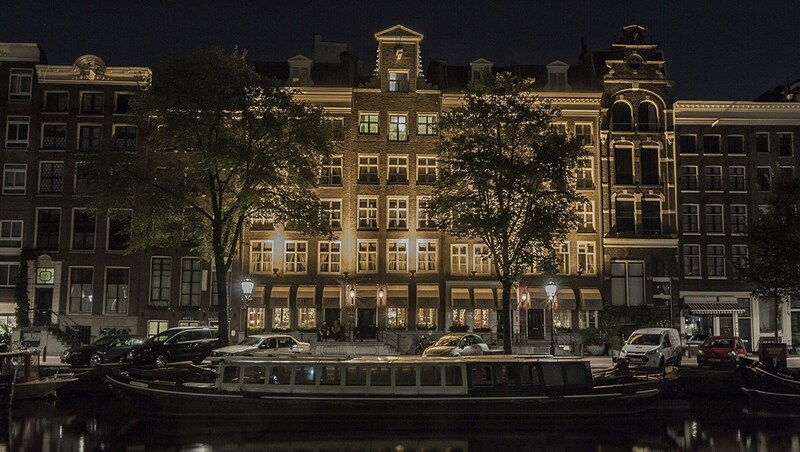 Imagine yourself in a truly authentic Amsterdam ambiance in this beautiful seventeenth-century building along Amsterdam’s oldest canal: the Singel. Dream away with the richly coloured interior, the crystal chandeliers, the luxurious fabrics and the expressive prints. None of the 91 rooms and two suites in our hotel are the same, each and every one of them has been lovingly designed and decorated. Hotel Estheréa will allow you to relax and it’s also the perfect starting point for discovering and exploring the city, as it’s located right in the very heart of Amsterdam. In short, the perfect stay for either a short or a long getaway in Amsterdam. Can we look forward to seeing you soon? 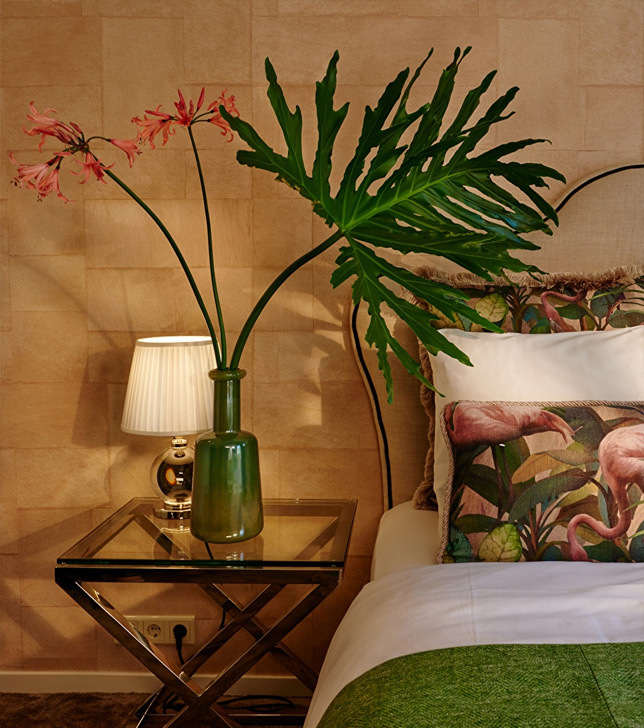 This boutique hotel has been run by a family for more than 75 years. Quite a few things have changed over the years. The premises started out as a guest house with 12 rooms and has now been developed into a luxury gem with 91 rooms and two suites. The building is now included on UNESCO’s world heritage list and has undergone a significant transformation. However, the one thing which has definitely remained over the course of time is a true family feeling, personal attention, service, authenticity and an eye for detail. And you don’t just see that when you enter our hotel, you will feel it too. Hotel Estheréa has 91 luxuriously furnished rooms and two colourful suites. Each room is unique, literally every detail has been carefully considered. All rooms are accessible by lift and the hotel is completely non-smoking. This hotel’s charm is in the historic building and its history, so it’s quite possible for there to be differences in the room sizes. Classic rooms are at least 13 m², Luxury rooms 20 m² and the Suites are either 30 m² or 55 m². Are you planning on organising a meeting? We have three stylish meeting rooms available for your use, suitable for groups of up to 18 people. These rooms are equipped with all possible facilities and come with an extensive coffee and tea buffet with some sweet delicacies. We can also organise your breakfast, lunch or drinks. Take a look at the meeting possibilities and let us know about your requirements. Do you fancy taking a moment to relax with a good glass of wine? Or perhaps allow yourself to get into an exuberant mood with a delicious cocktail? Whatever you feel like, the bartenders in Maria’s bar, named after Hotel Estheréa’s founder Maria Flieger-Gruyters, will always be on hand to serve you up a refreshing drink. Our bar is exclusively open to hotel guests. Absolutely ideal for escaping the hustle and bustle of the city. Discover our surprising drinks menu, or enjoy the snacks from our small menu. How about a delicious piece of Dutch cheese or a bitterbal? That should definitely form part of your stay with us. Maria’s Bar is stylish and cosy and open 24/7. Our kitchen closes at 23:00 hours and we serve cocktails from 17:00 to 01:00 hours. What can we get you?